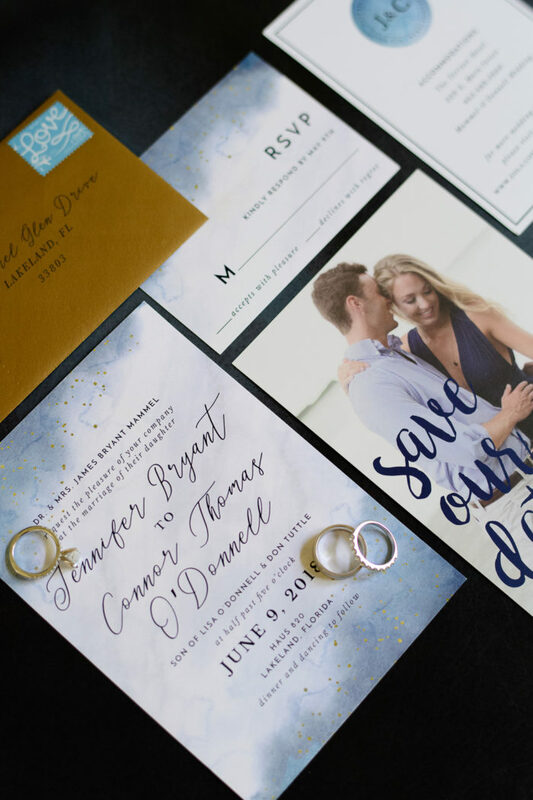 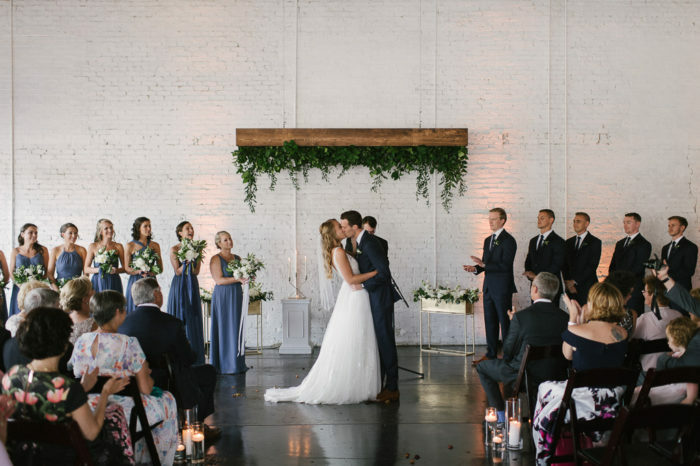 J+C’s entire wedding day was the definition of romance. 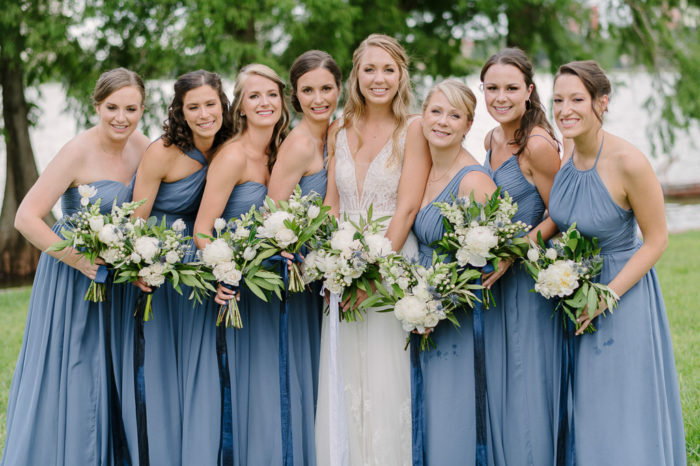 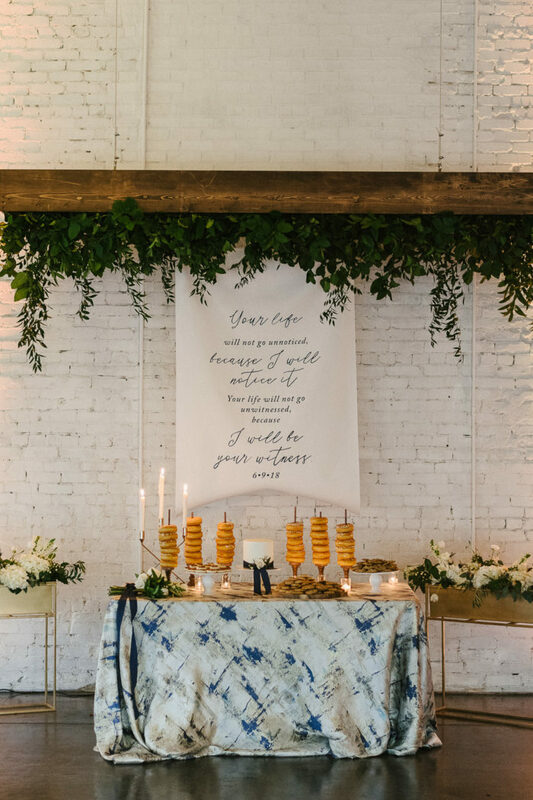 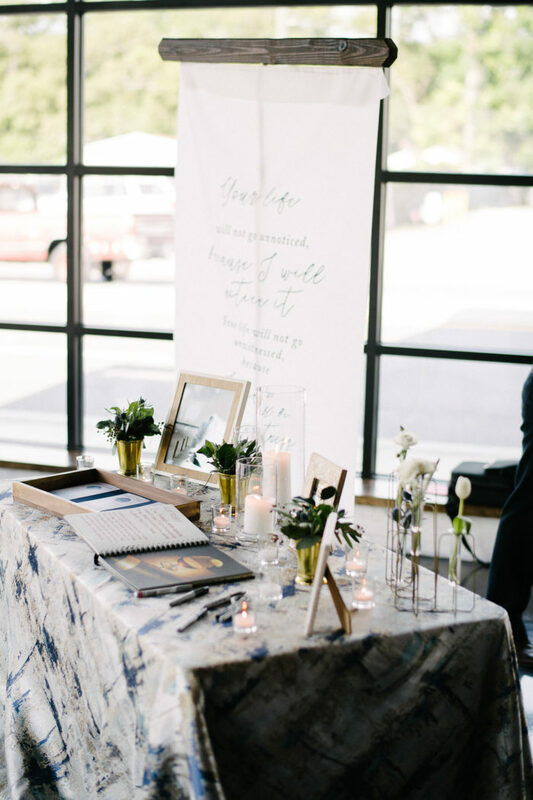 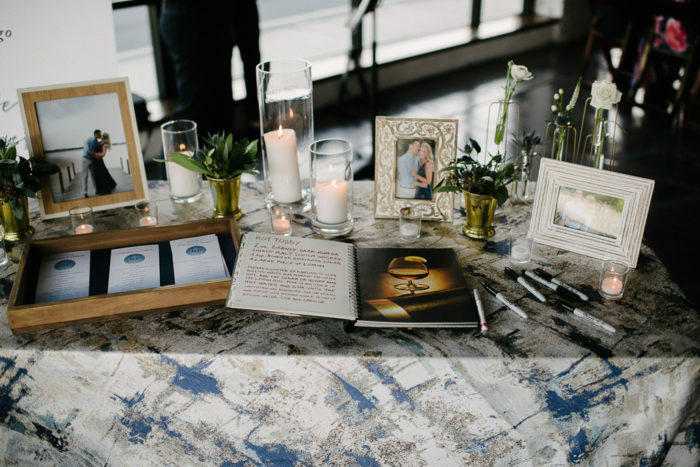 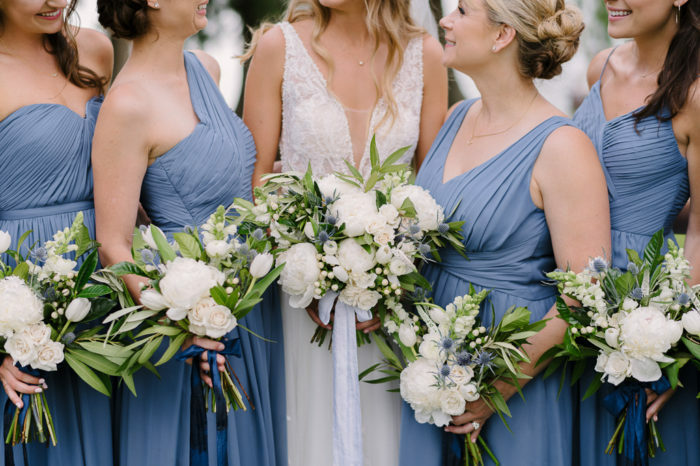 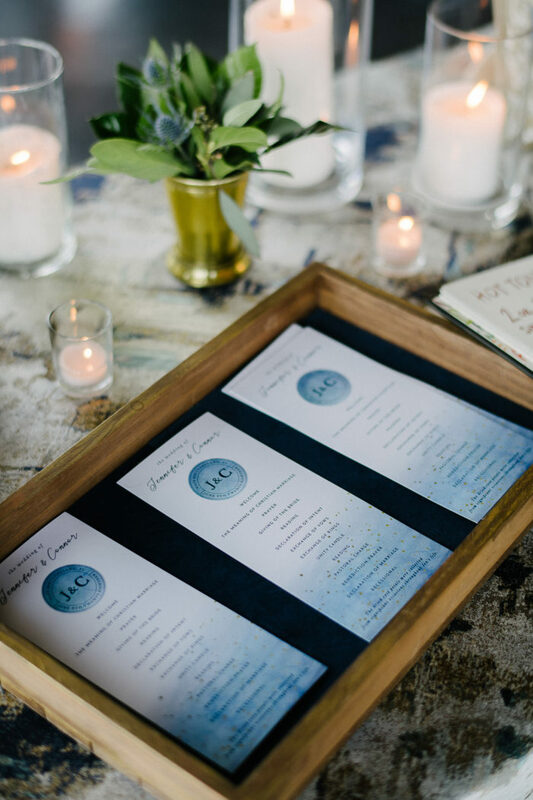 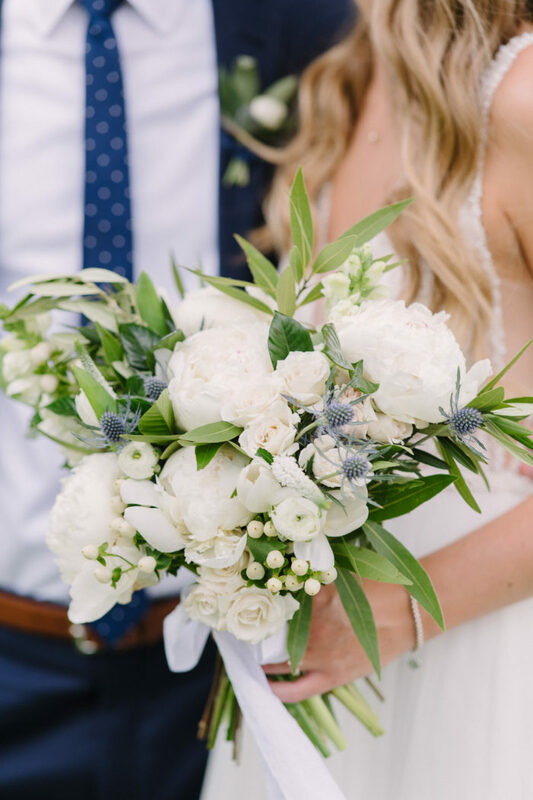 Between the combinations of soft blues, luscious white flowers, and an abundance of greenery, the vision of this day came together so beautifully. 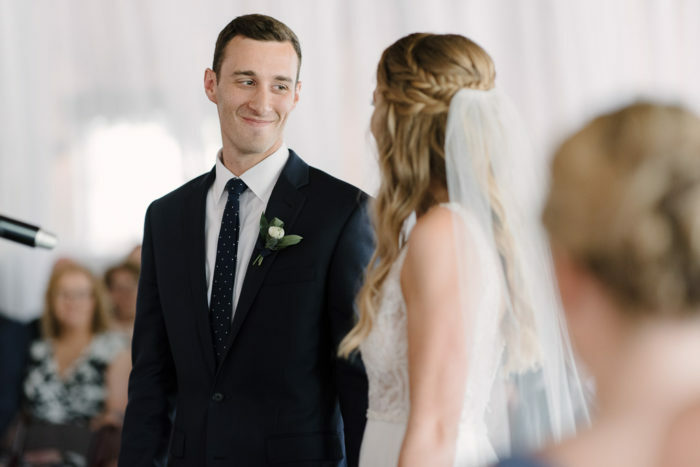 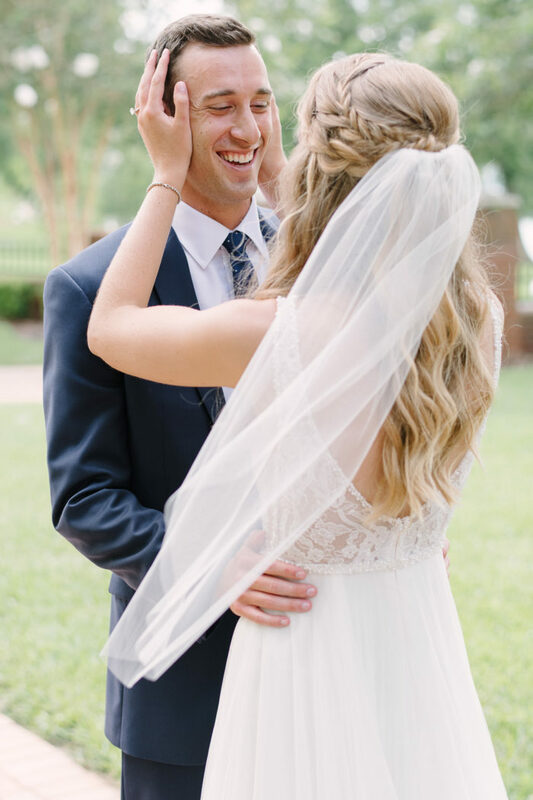 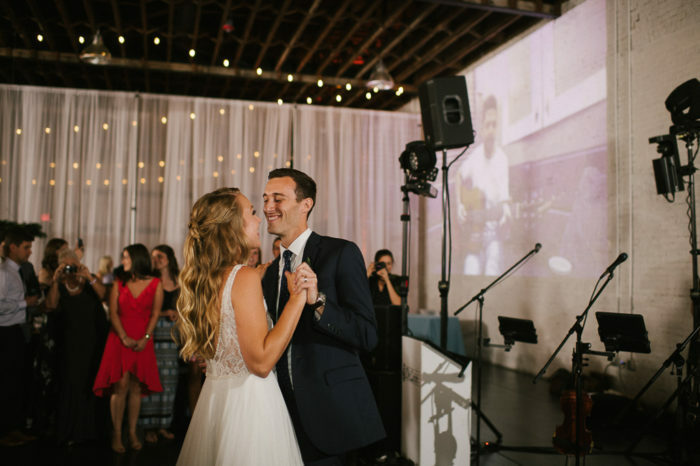 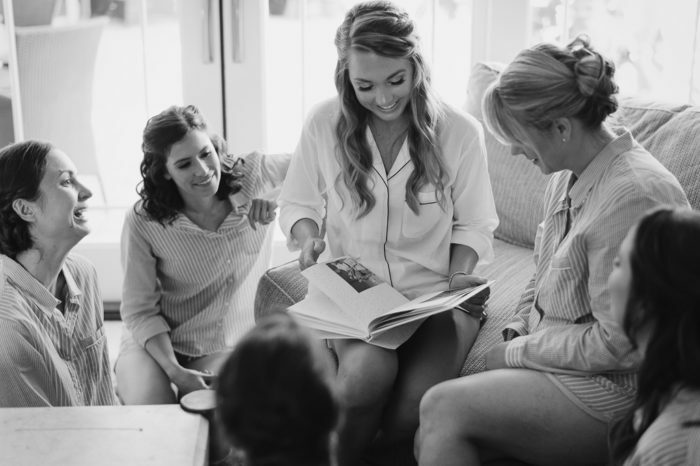 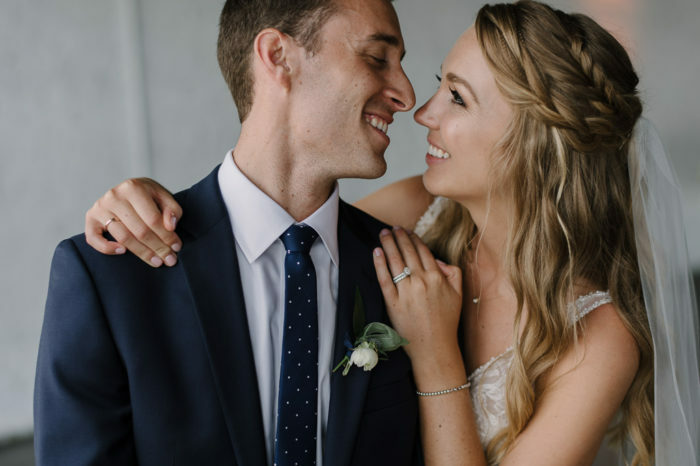 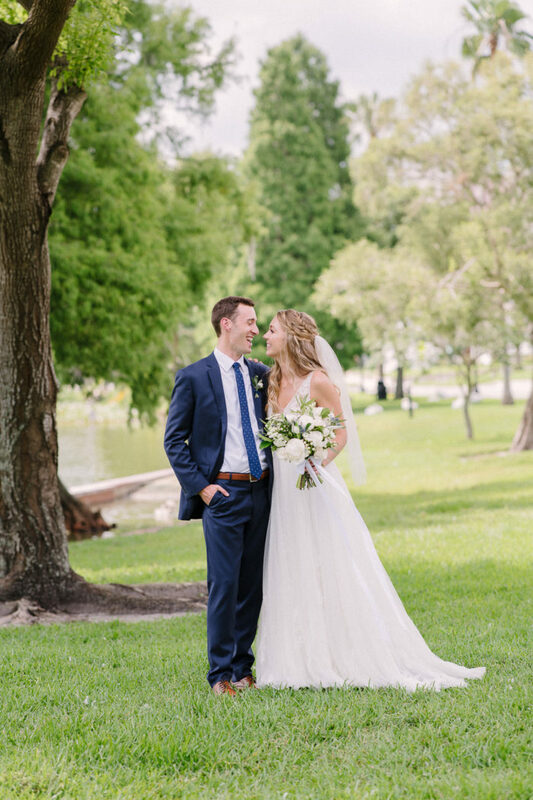 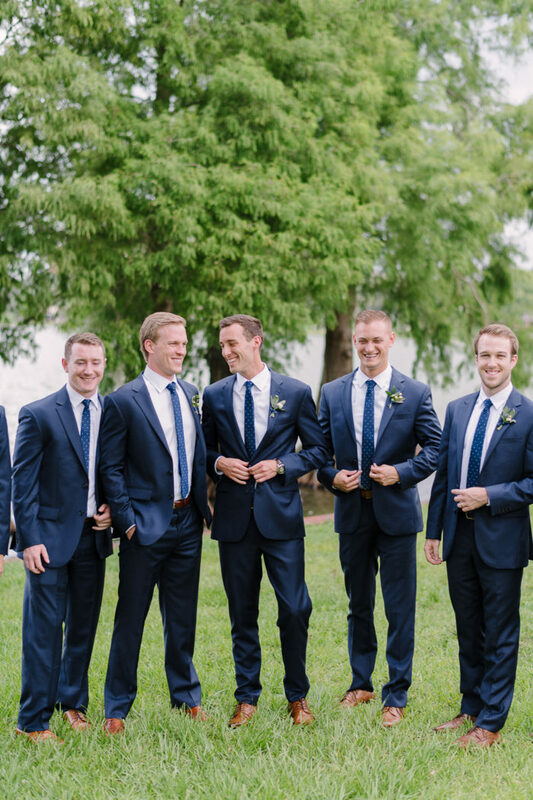 They wanted their wedding to have the feel of an outside venue with the comfort of being indoors to avoid the intense summer heat of Florida, so Haus 820 was the perfect choice for them because it gave them the exact atmosphere they wanted! 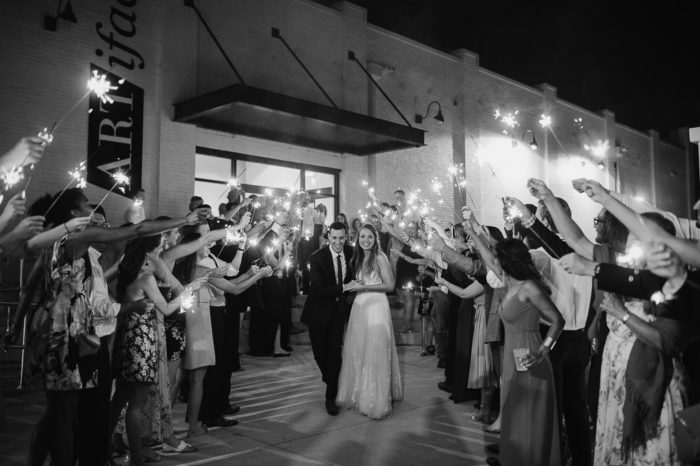 “I couldn’t have imagined us in any other space! 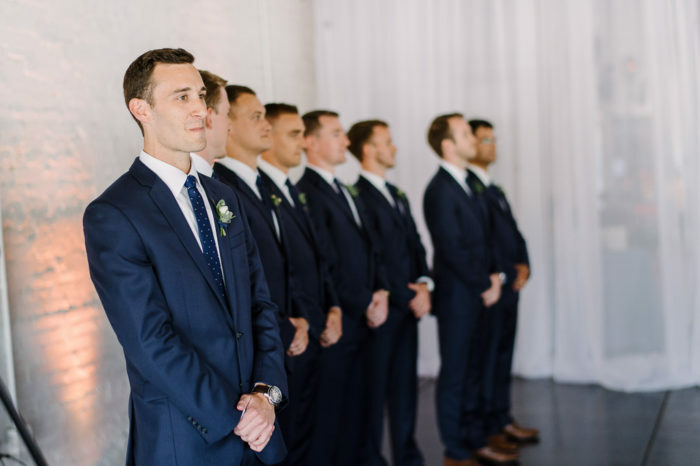 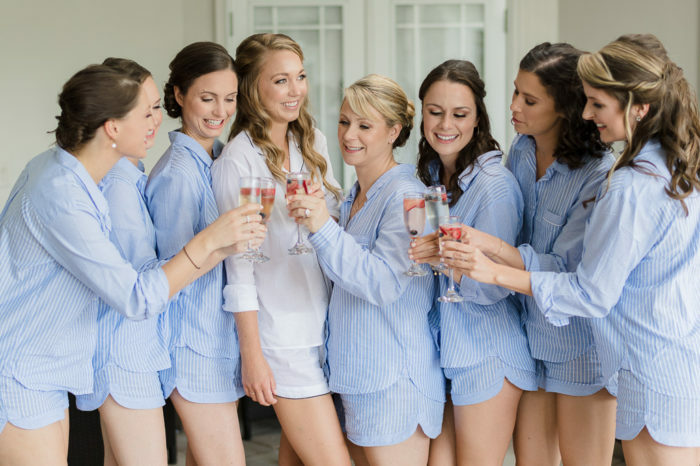 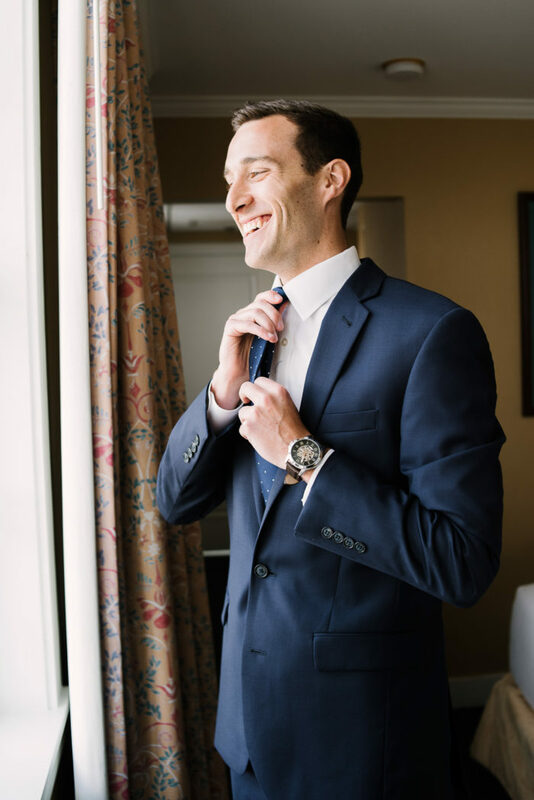 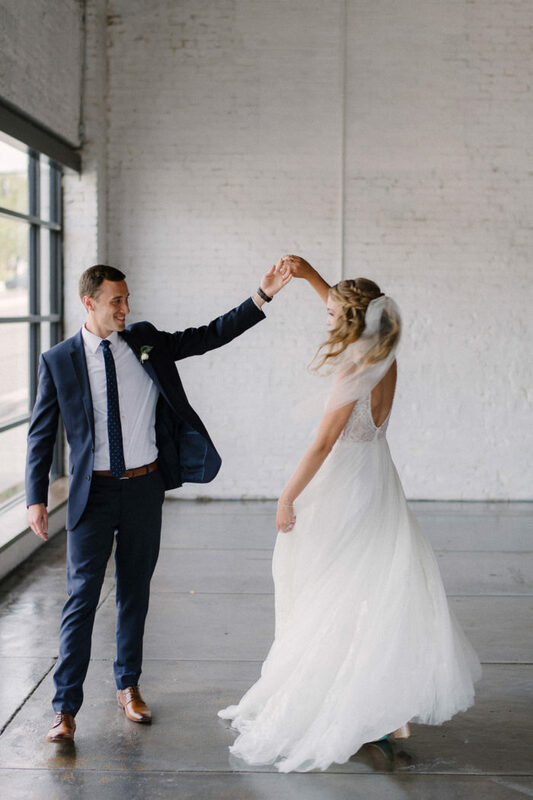 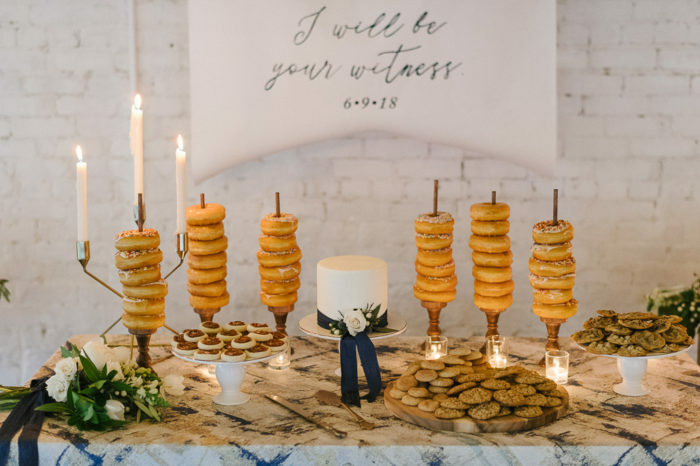 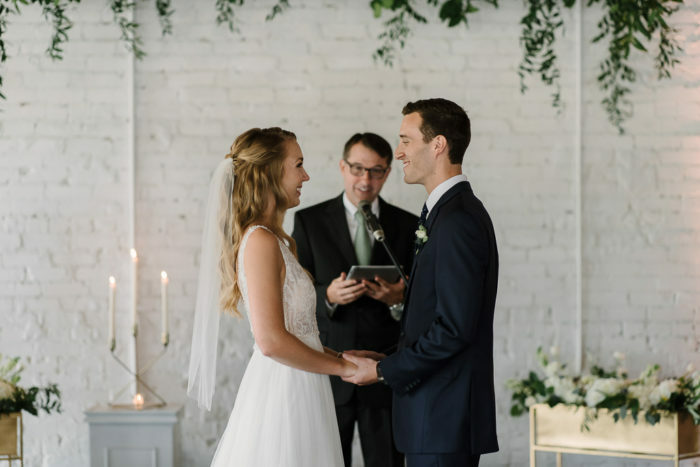 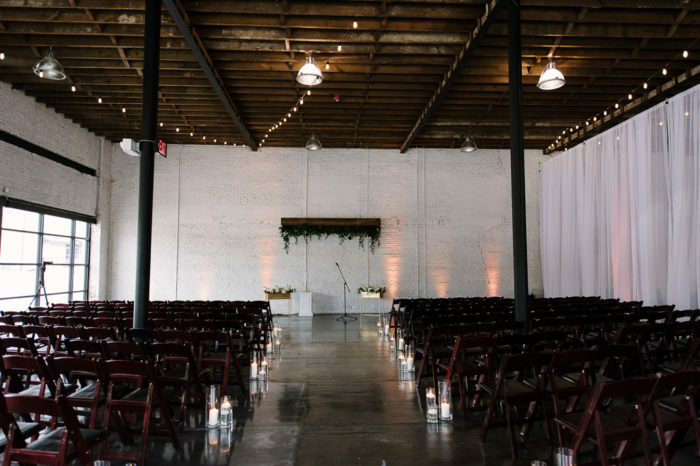 The restored building was such a perfect blank canvas that allowed us to create our unique vision with a very cool, relaxed vibe,” explained the bride. 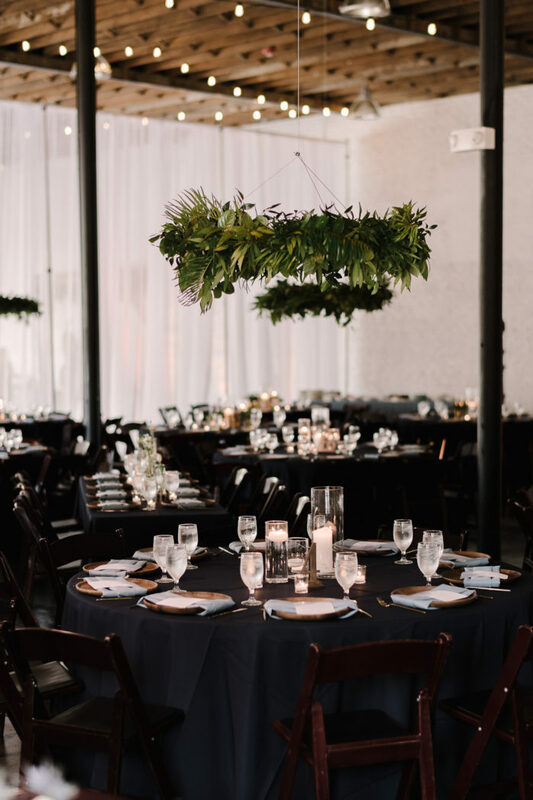 J +C chose to split the Haus 820 space for the ceremony and reception with beautiful white draping from Premier Party Rentals. 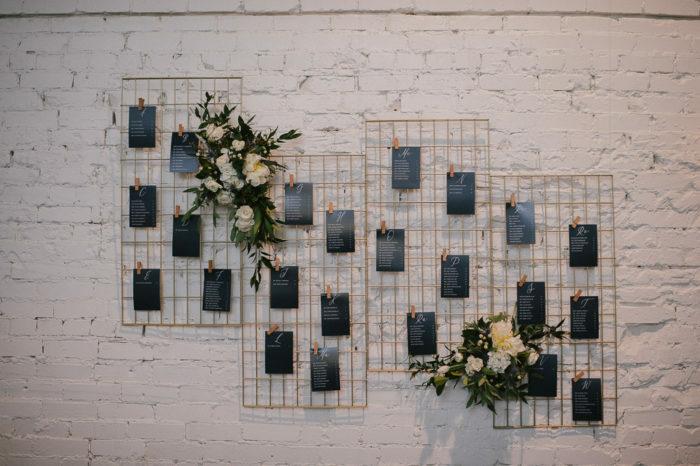 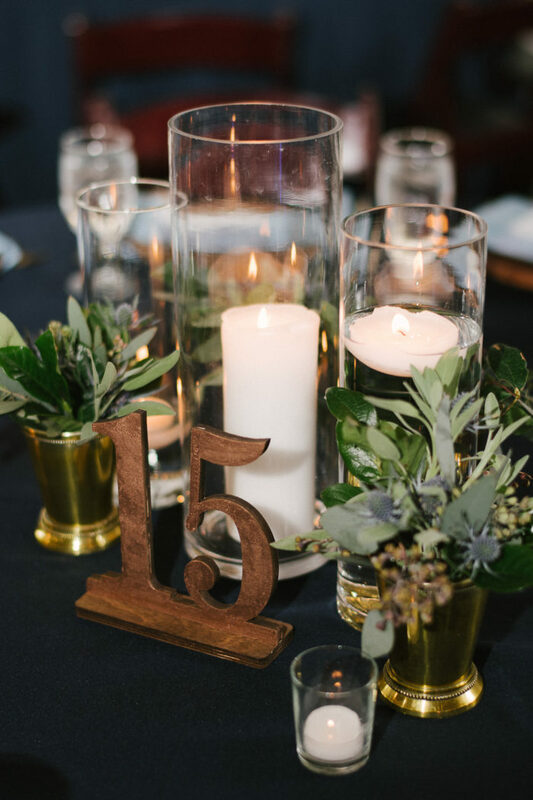 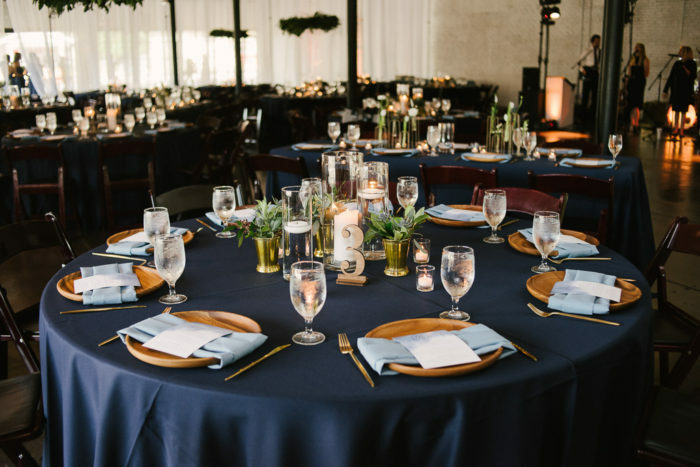 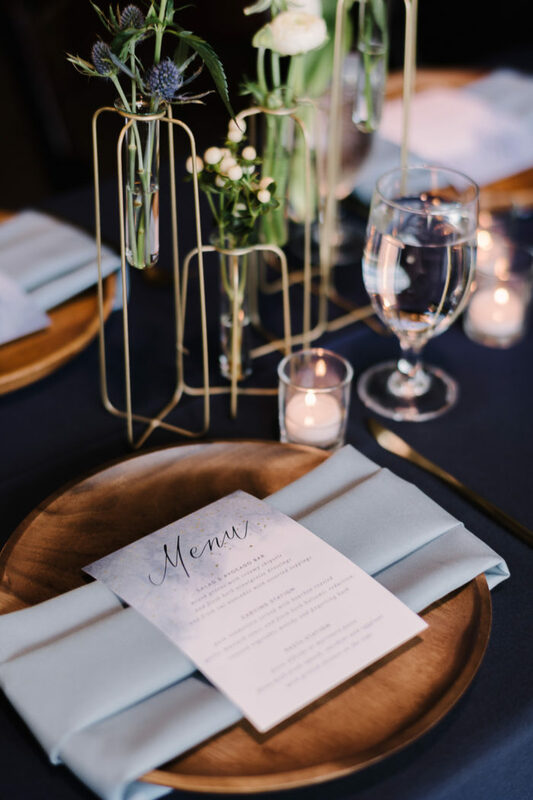 The dark stained wooden chairs from A Chair Affair and navy linens from Over the Top Rental Linens brought so much elegance to the reception. 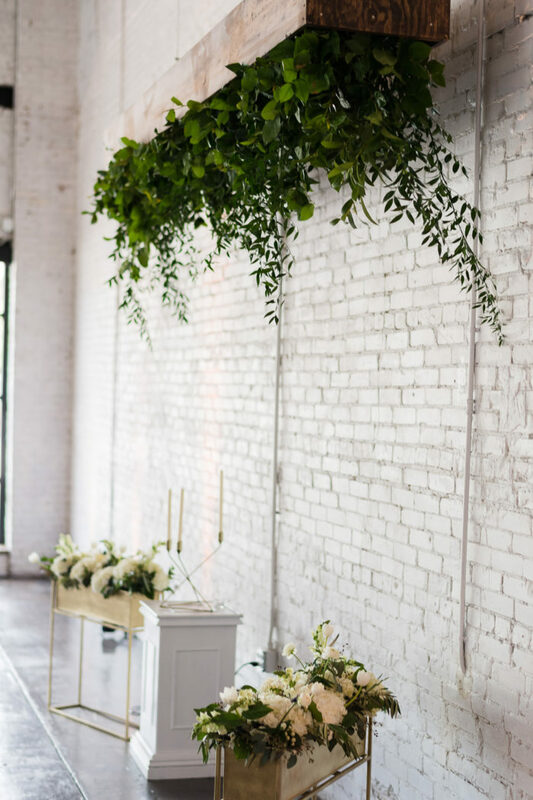 It was clean and simple but looked stunning with the white florals and greenery details.